Our Italian dinnerware ceramics are hand made in (Deruta or Tuscany) with much love and care for the art. 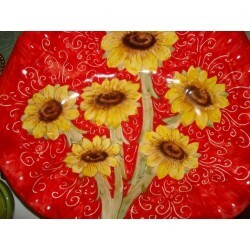 Imagine serving family and guests your favorite pasta recipe in this beautiful red 15” pasta bowl. 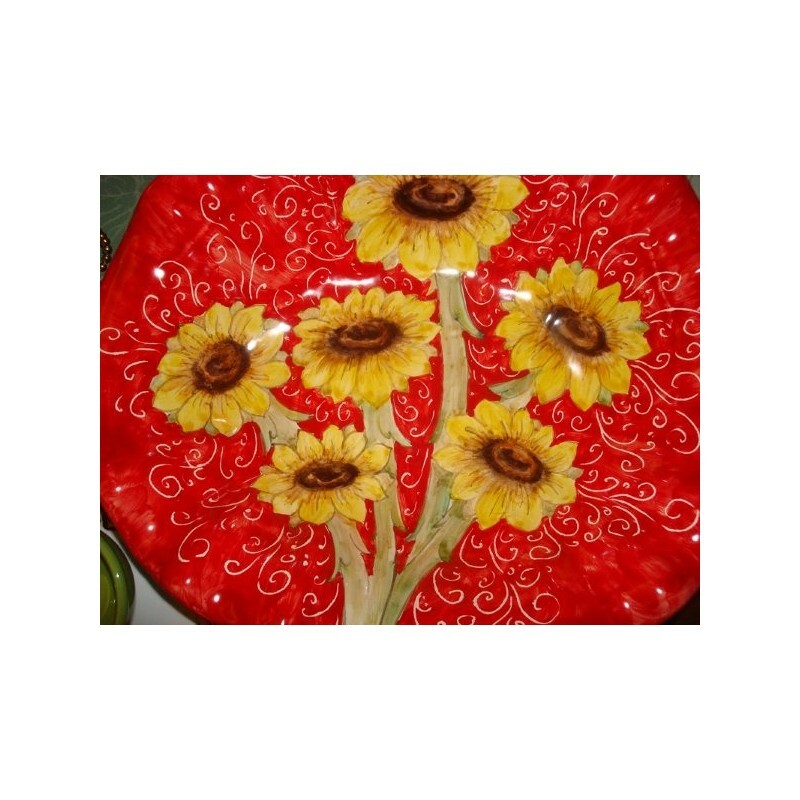 Great quality, practical use and beautiful sunflower decor for your Cucina Italiana.